Wood stoves have remained a controversial subject for quite some time now. The revised regulations of the EPA ban have banned the production and sale of wood stoves. The soot from the wood smoke when inhaled becomes very lethal. Apart from this, there is also an underlying danger of getting frozen when the mercury level drops below the normal level. There is no denying that wood smoke is highly dangerous to health and their danger causing ability is determined by the size of the particles they contain. Clean burning wood stoves will reduce the emission of harmful particles and carbon monoxide by about 70% and 65% respectively. The new wood-burning stoves are more efficient and will help the underprivileged people who rely on wood heat. The stove manufacturers have designed these in such a way that they deliver more heat with lesser pollution. The burning stoves are constructed with many firebox insulation that facilitate complete combustion and a longer path for the exhaust which remains hot for a long time resulting in the greater burning of the particles. These modified stoves require a little more maintenance than the conventional ones. Wood is a renewable and easily affordable source. There is no doubt that wood stoves are largely preferred by people who cannot afford more modern stoves, especially in the rural areas. The new regulation also ensures that people do not get cheated by the sub-standard and cheap imported stoves from China. If the stoves are clean, the renewable wood will be the best source of fuel. 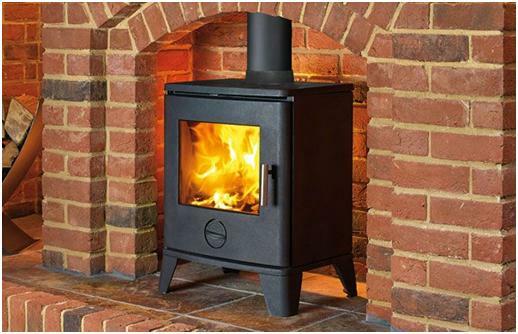 The advanced and modern techniques have resulted in the super-efficient wood stove that produces insignificant amounts of soot that cannot cause any harm to the users. The smart stoves are driven by smart electronics helps the users alternate to a product that doesn’t cause any pollution. Conventional wood stoves absorb more air that escapes out of the chimney as smoke. There is no way to control the amount of air entering the fire which results in the unrestricted pollution in the form of smoke. The best way to convert conventional wood stoves to the new revised clean-burning stoves is by controlling the air so that the stoves burn clean. The modern wood burning stoves, Milkier uses a fan to regulate air through the system resulting in the fire to burn completely and purely. There is a small control system inside the stove that gauges heat and adjusts the fan in accordance with the heat so that the fire keeps going as required. The wood stove installations are also easier and faster as against the conventional ones that ate complex and time-consuming. It is easy to keep the fire going continuously resulting in a hassle- free performance. Also, wood is better for the environment if the soot is kept in check. Wood stoves are safer for the environment than a heater running on coal or gas resulting in higher carbon monoxide emissions. Clean burning stoves have become a trend now.